Dozens of Palm Beach County residents have signed up to have their home turned into a giant advertisement. 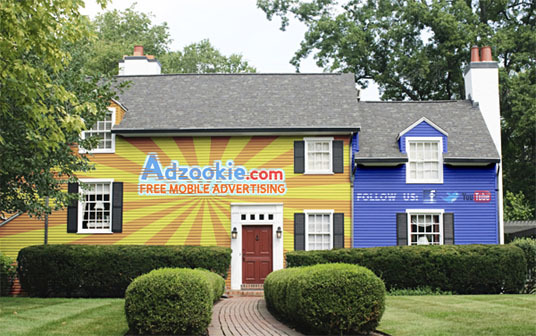 In return, the California-based firm Adzookie will pay mortgage payments for every month the home remains a live-in billboard. Mark Oskorus of Adzookie said 44 homeowners from Palm Beach County have signed up for the program.